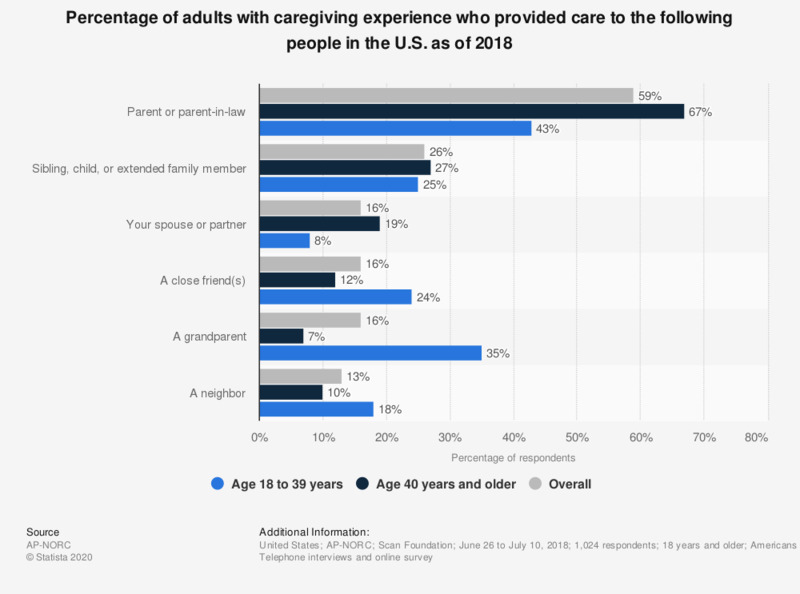 This graph shows the percentage of adults with caregiving experience who provided care to the following people in the U.S. as of 2018. Around 59 percent of respondents stated they provide caregiving assistance to a parent or parent-in-law. Original question: Are you currently providing ongoing living assistance to any of the following people?/Thinking back to when you provided ongoing living assistance, did you provide it to any of the following people?